Fortunately, the gun laws of North Dakota are pretty straightforward, for the most part, and our guide will walk you through the ones to watch out for. We’ve got everything you need to know to navigate the gun laws of North Dakota and have you protecting your freedoms in no time! When it comes to actually buying a gun, whether it’s a handgun or a long gun, North Dakota does not have any state-specific laws to worry about. That doesn’t mean you can just walk in and pick up a gun off the shelf though! 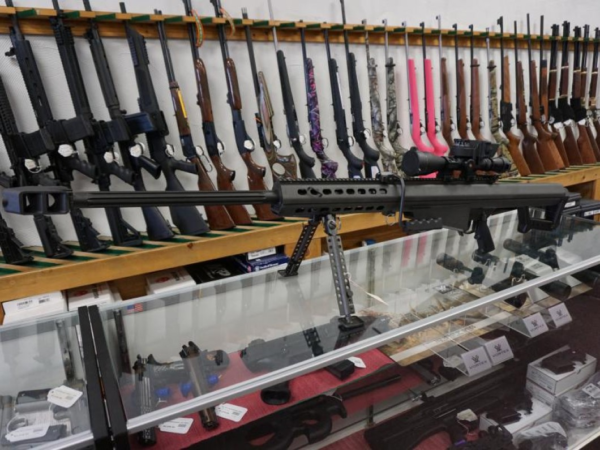 You’ve still got federal firearms purchasing laws to worry about. If you decide to buy a handgun through a private seller (i.e not from your local gun store), you can skip the background check step. If you don’t fall under any of those categories, you’re good to go! Now all you’ll need to do is figure out which handgun to buy! The rules for buying long guns are very similar to the ones for handguns, but are actually less stringent. Just like with handguns, as long as you are making the purchase from a private seller and not a licensed firearms dealer, you can skip the background check. They’ll still need to make sure you’re over 18 though, and not otherwise unable to own a firearm. Don’t worry! Even if you don’t meet the age requirements to buy a handgun or long gun, you can still use firearms, under certain conditions. Is using it for firearms safety training, target shooting, or hunting. Even better, if you are younger than 15, you can still carry and use firearms as long as you are under the direct supervision of a parent or guardian. Be nice to your parents! 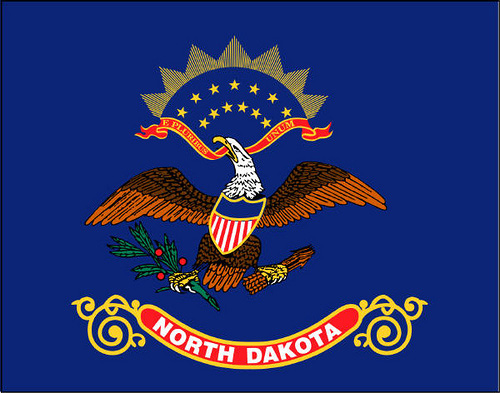 North Dakota does not distinguish between antique and replica firearms and modern firearms. That means you will have to meet the same requirements when buying that antique flintlock as you would when buying the latest Gen5 Glock. Hopefully not a big deal, but just something you’ll want to keep in mind when adding to your collection! Here’s where things get tricky! North Dakota allow for open carry of long guns without a permit. For handguns, however, things are a little more complicated. There are two situations that you need to pay attention to when carrying a handgun in North Dakota. In plain view or secured. During the time between one hour after sunset and one hour before sunrise, a handgun can only be carried if it is secured. It cannot be carried openly during this time unless you have a CCW permit. Carrying a handgun in a secure wrapper from the gun store or repair shop to your car or vice versa. He could use a firearms safety course. If those carrying laws seem weird, that’s because they are! Luckily, there’s the open to carry concealed! North Dakota recently enacted a “permitless carry” law that allows for concealed carry of handguns without a permit. America! What this means is that if you don’t want to mess with the open carry laws, you can just carry concealed and not have to worry about it at all. 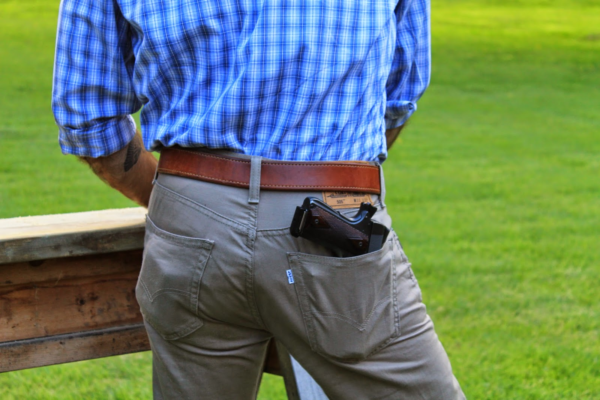 Even with permitless carry, also known as “Constitutional carry”, the state still does issue CCW permits for people who want to be able to open carry, but also so that you can continue to carry concealed even when you travel to other states. For those of you interested in the CCW permit process, hop on over to our North Dakota CCW section after you’ve finished up here and we’ll walk you through all the steps on getting the permit and the laws you’ll want to pay attention to once you’ve got the permit. For everyone else, just keep in mind that even with permitless concealed carry, there are still places where you cannot bring your handgun. Publicly owned parks where hunting is not allowed, or publicly owned or operated buildings, not including federal or state parks or buildings. Whenever you need to! Or hopefully just at the range. 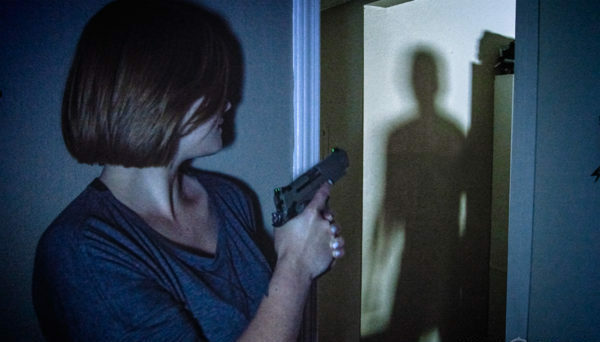 North Dakota has adopted what is commonly known as the “Castle Doctrine” in allowing you to defend yourself when at home or at work. Specifically, you are not required to retreat and can use deadly force, if necessary, to protect yourself or anyone else against death, serious bodily injury, or a felony involving violence. The law is very specific about only using the necessary amount of force to stop a threat, however. If it is not dangerous or useless to do so, North Dakota actually requires you to ask the bad guy to stop what he is doing and leave. You should probably have your firearm ready in case the guy does not listen, but hopefully the gun in your hand will convince him otherwise. Just keep in mind you should only try to talk to them if it is not going to put you in danger. When it comes to defending yourself and others outside the home, the state has a very different idea. Many states have what is known as a “Stand your ground” law, that allows you to defend yourself while outside of your home, whether you are at a restaurant or a ball game. North Dakota does not have a “stand your ground” law. If you are outside your home or workplace and you or someone else is threatened with death or serious bodily injury, you cannot use deadly force if you can avoid it, and should retreat to safety. Even if you are trying to protect someone else, you need to try and get them to safety without resorting to deadly force. Of course, if you cannot safely retreat anywhere and are backed into a corner, then you should use whatever force and skill you can to end that threat to yourself and others around you. No matter what situation you ultimately find yourself in, you should always use your best judgement to decide what type of force is appropriate. With that, you’ve now got all the information you need to be a responsible gun owner in the great state of North Dakota! Don’t forget to check out our CCW section to learn about the process to get a permit and defend your freedom everywhere you go. If you’re looking to expand your skills before going the CCW route, that’s okay too! But you might want a sturdy safe to keep all your new toys, and keep them away from prying eyes while you’re out of the house. A basic gun cabinet or handgun safe may be a good starting point for securing your firearms. Once your guns start multiplying, take a look at the bigger safes we recommend to give your guns a nice place to sleep at night. Now get out there and start your collection! Those guns aren’t going to buy themselves!